From beginner to advanced, freestyle, surf, or whatever your riding style we've got a kite to match. Each year we test ride and share our experiences to help you make the best decision when purchasing a new kite. If you're not sure which kite fits your needs please contact us. We love helping and sharing our enthusiasm for kiteboarding. Kiteboarding packages help take the guess work out of selecting the perfect set up; all-inclusive packages with gear for entry-level, intermediate, advanced, and light wind riding. With a range of brands from CrazyFly, Naish, Ozone, Cabrinha, Dakine, and Ride Engine - our shop tested gear recommendations can help you get started without having to research all combinations. Foil kites are the perfect choice for kiting and training on the land and snow with skateboards, landboards, mountain boards, buggies, skis, and snowboards. In the last year or two, special closed-cell foils have been designed for use on the water. We carry the very best foil kites from Ozone, Flysurfer, and HQ. Kiteboarding control bars are an essential piece of equipment used to steer inflatable and foil kites. We carry control bars for all major brands of kites: CrazyFly, Ozone, Slingshot, Airush, Naish, & Cabrinha. If you don't see the control bar you need please give us a call to discuss special ordering options. Customize and personalize you control system by building your own bar with the parts you choose. Kite leashes provide a level of safety for preventing you from losing your kite. A leash is a simple attachment between your harness and your kite's safety system so you still stay connected to your kite when you hit the safety release. 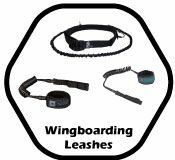 We carry both the new mini leashes as well as traditional handle pass leashes. Kite pumps are essential for pumping up your inflatable kite before your session. These durable, aluminum shaft pumps from Ozone, Naish, Slingshot, Cabrinha, and Crazyfly stand up the rigors of kiteboarding. The new Bravo electric pump is an easy way to inflate your kite without pumping. 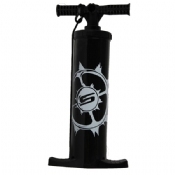 We also carry many pump accessories such as gauges and pump adapters. 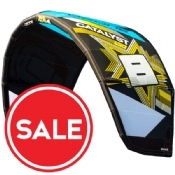 Kites at the lowest prices you will ever see from top brands such as Crazyfly, Ozone, Slingshot, Naish, Cabrinha, and F-One. Keep checking back for more great deals on kites.